Since I've had non-stop visions of that kid from Texas dancing in my head since the ping pong balls dropped, I wanted to scribble a little sketch to help me "pre-viz" what the likely #2 pick in the 2007 NBA draft will look like in his new uniform. But if the Sonics end up with that other kid, I'll draw a picture of him, too. Beautiful. I think you ought to email it to someone who knows Bill Simmons so they can put it on his computer's desktop. WOw! That's rocks. I love it when Chunk doesn't sleep! And it sure beats the hell out of the p.o.s. the PI used today. 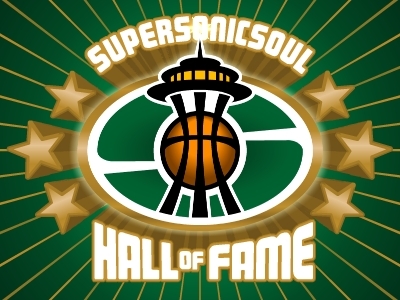 Excellent work, Raf, as always, but what were you going to draw if the Sonics got the 8th pick? Are there any colors in your palette white enough for Spencer Hawes? I'm actually happier the Sonics got the #2 than the #1. If they get #1, they're obligated to take Oden (not that I think he's bad, just bear with me), whereas at #2, they'll get Durant. 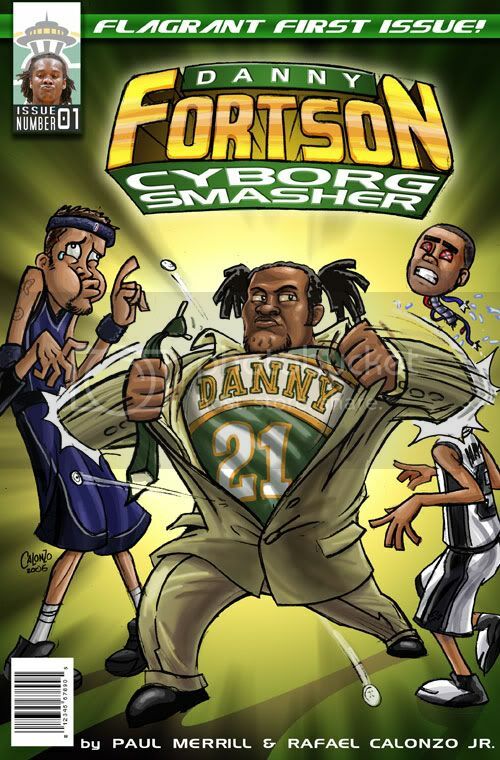 I actually think Durant is a better player. Am i the only one out there who's glad we got the #2? Sweet. As for the comment of happier to get 2 than 1. There is no obligation at 1 to go Oden though it should be the default choice. Either guy will be great for the team, Durrant I feel will be more "marquee" like, will drive more overall excitement and from a perspective of what gets fans in seats, writing letters to the lumps in Gov, Durant is the guy that fills the bill. What fits easiest in the lineup, especially if we resign Shard, probably Oden no matter what we are winners here and the artwork is outstanding, have those ready for print once draft occurs. this is cool. u should try to get this pic more attention.